Still, they did a good job casting, right? 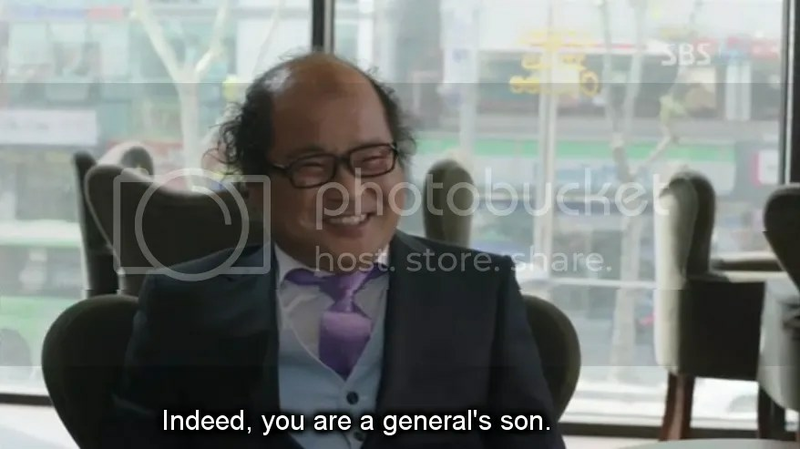 Something interesting I hadn’t thought of before: the fact that this father also makes more sense in the City Hunter that grew up than Jin-Pyo’s brother’s actual son probably would have. I did kind of wonder, what if this kid had been completely unadept at all this stuff? What if he’d grown up like the actual second-best dresser at the Blue House? what if he didn't even have this guy's head for technology?! 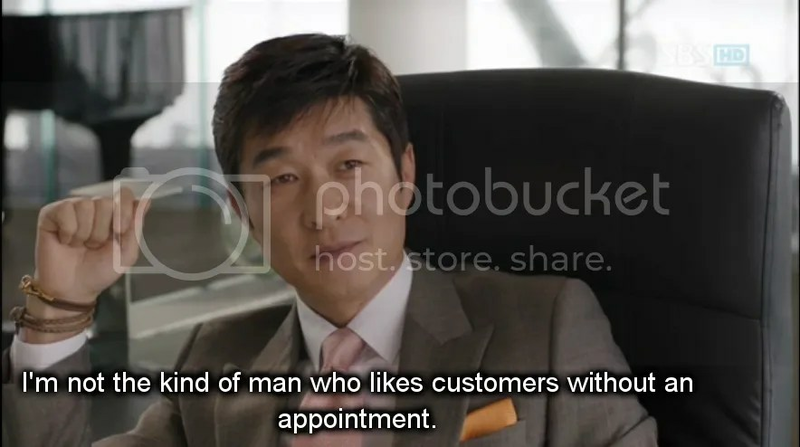 But Jin-Pyo and the president are actual more similar to each other than any of the other men (except Yoon-Sung and Young-Joo, but in that generation). A man who can make hard decisions. A man whose emotions are actually quite vulnerable, but also support his moral code. They haven’t gotten soft just because they’re in charge, behind the frontlines, either. Anyway, it’s cool to think that Yoon-Sung could grow up like this–someone with regrets, sure, but able to live as a human despite it, not a one-dimensional passion for money, power, or…revenge. awwww, you GUYS. I'm so glad you get along! The space is both obvious, but not awkward. And I notice, that the scenes of the president are all very uncluttered but not high-style, either. The only really exciting place in the Blue House is the security room, actually. This choice, to not glorify or stiltify the national headquarters, is one that both makes the tension not about lifestyle but moral code, and makes the accessibility of these places to our main characters much smoother. Last: gratuitous art shot of Himself. 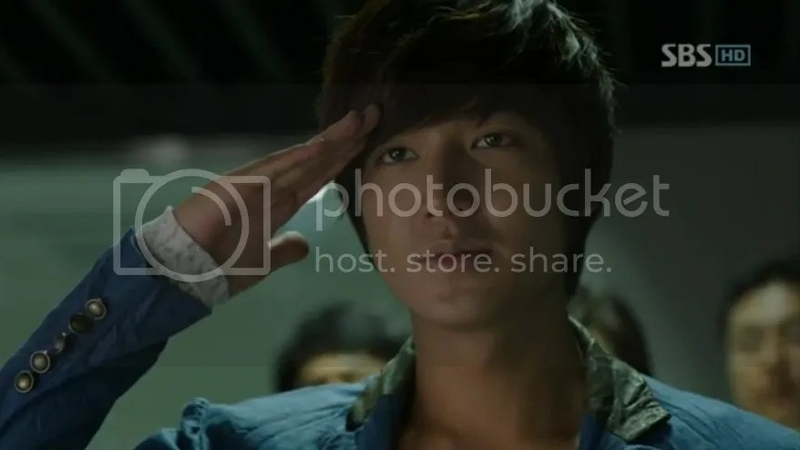 I admired the Arch-City Hunter for his good looks and steely manner from the moment we go to see him in his guerrilla-chick gun vest and cargo pants in the second half of the first episode. When he made the switch to Steve Lee style, in his palatial new house. as he got ready to send his son off to Yale, it seemed so drastic a switch I was wondering what was going on. It wasn’t until the first real scene of danger to him that I realized there was something about him (a little obvious in the screencap above because I was wanting to capture it, once I noticed) that kept that past visually present. Or maybe, there for in case he has no gun anymore and needs to hang someone. 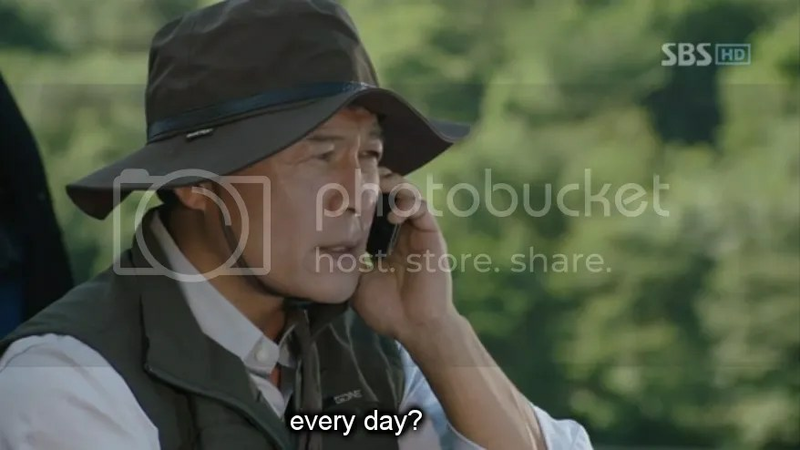 With Jin Pyo, who knows? He sleeps sitting up, hand on a firearm. There’s something inscrutably hot about this guy. And I’m going to make this clear: every time he does something cruel I was disappointed in him. It’s mostly the actor, you know? I think it’s *awesome* they got a hot actor, who can pull off layering leather bracelets, to play the Bad Dad. Doesn't the navy-with-red seem kind of child-like, more a little boy's suit, so he looks even MORE vulnerable here? though very good at that, too. 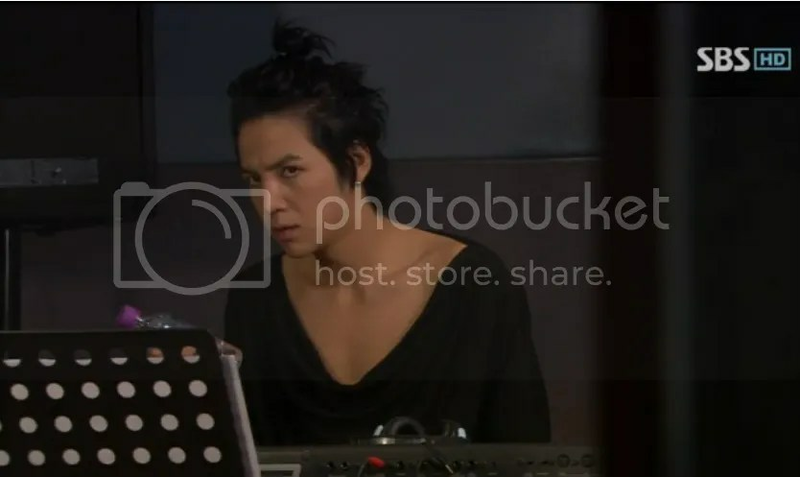 The focus of the drama was all about relationshipS, a network of them, where no connection came without a couple of knots with others. Even though the action was hot, it was the pieces of this network falling together that was the primary suspense. appropriate since the denouement conflict is over choosing between the love of loyalty, blood, and altruism, too. So then, we have Jin-Pyo, who made him who he is, and who is his harshest enemy. His mom, who he has the sweetest, bitterest reunion with. Young-Ju, with whom he has a rivalry that pushes both of them to excellence…and the funniest dominance games. But who brings out the best in him? The human flaws and virtues? So this is the prettiest pairing, yes. I mean, look at these guys. they get the brightest backdrops, even! They have the sweetest exchanges, in terms of every-day back and forth in a friendship. The credit-cards arguments? 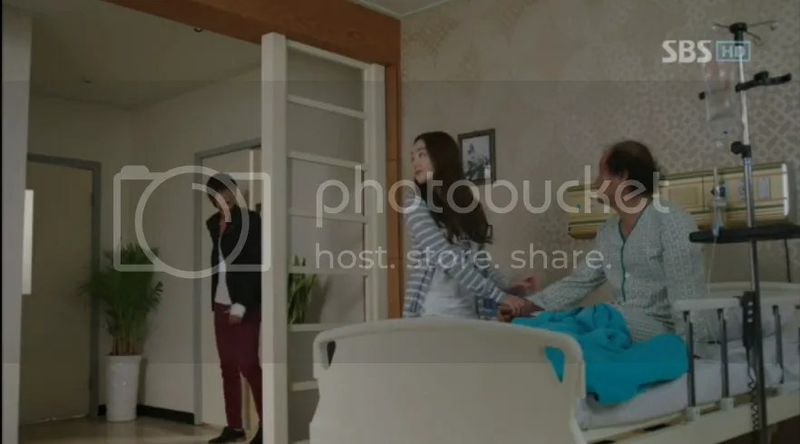 It’s so cute, because while Yoon-Sung still feels the emotional lack of a mother, and all the ugly pressure of a swarm of fathers, Ajussi is the one who makes sure he’s living well, who gives him someone to take care of (who’s not a burden emotionally, but a real motivator to stay alive) and also a buddy who can help with whatever he’s up to. How cute is it that he’s the opposite of Yoon-Sung’s suave, plausible con man, and yet, he ALWAYS succeeds, too? Aw. I will miss you. This is a show set firmly in the 2kteens. In a way, it must be horrible for actors to have to be on-target facially to such a high definition. 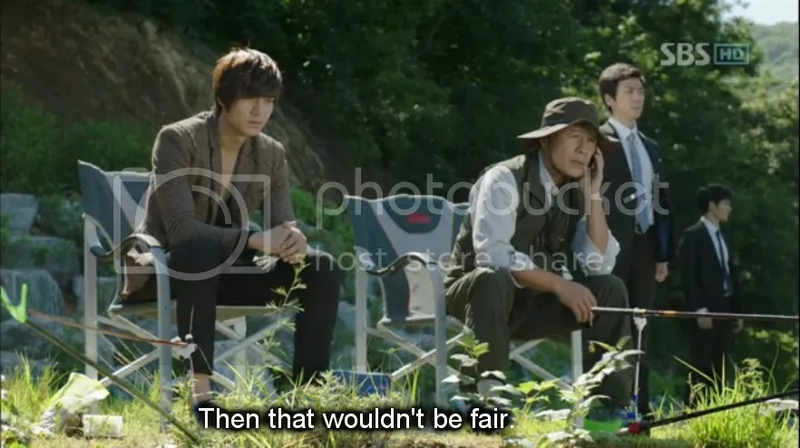 Lee Min Ho does not have to cry over this, though. I mentioned toward the beginning of the series that costumers know they have a good thing when he’s under their hands. I notice, in my screen caps, that there’s a lot of black, of course … and also hues of baby blue. It’s kind of in metro fashion these years, but it’s also definitely a good color on him. Since there is almost no softness to his figure and features, the gentle colors don’t take away any masculinity. EVEN if you put him in lace-texture blouses, too. It’s true to the very high-intensity light of the rest of the show, but softened by the contrast of red phone and bright blouse, and a small diffuse effect. But it’s not just in warm moments that this is true, actually. Even if it’s Lee Yoon-Sung wearing maroon in the shot, can you deny it? It’s a color that looks well against the sky and steel blues of most of the rest of the show, yet has a very distinctly different vibe. You may also note (in upcoming photos, and previous ones) nature colors of wood and greens are the others to temper the black and glass-clear tech of this show’s 2011. Sky blue is noticeable in lightening the mood, because it has more green and yellow notes in it than the powdery or clear colors elsewhere. …of course I’m talking about that jacket, what else? this was just a gorgeous show. The shots, the sets, the people. Any time the beats of the scene were going to be a little slow, they plopped it in a place with visual energy. It’s really not surprising me at all that I took that many without really trying too hard. This is probably only a handful of episodes worth. The story is so absorbing I plumb forgot most times. 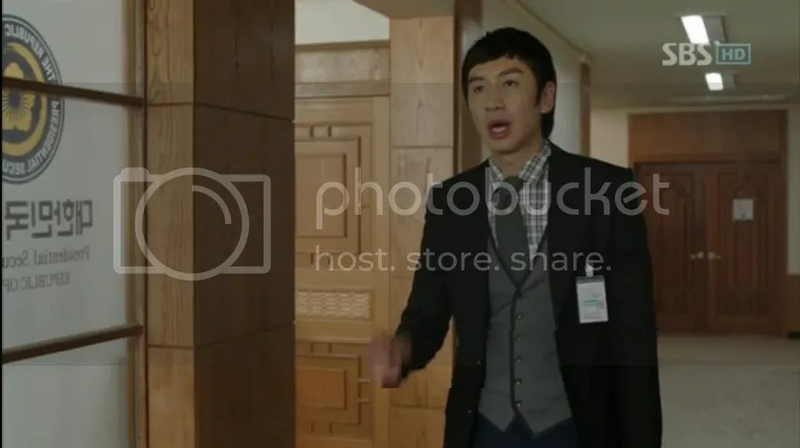 Just as Myung Wol the Spy (my new favorite flavor of crack) is working the rebellious energy of the Eric/Han Ye-Seul pairing, Nana and Yoo Sung are both eager-to-please, dedicated people with a taste for danger. It’s not just chemistry of their clear-lined looks. Their characters, and the actors behind it, have rapport. I’m going to be so sad when this show is over. Since it’s never for a minute bored me, though, I’ll probably be rewatching it someday. 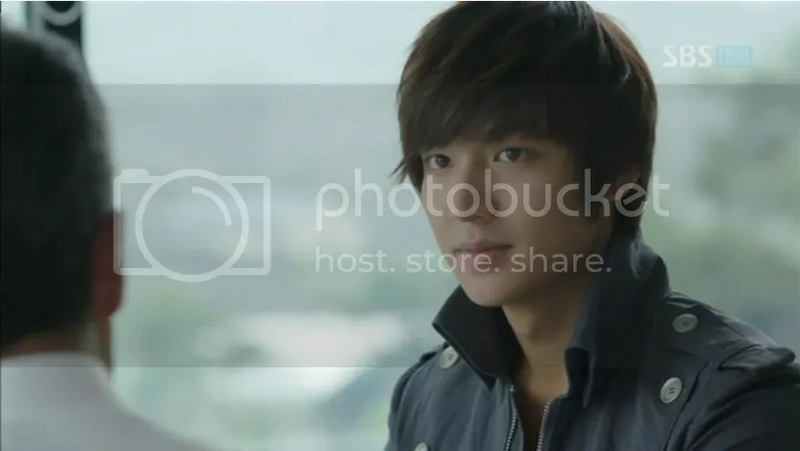 Anyway, fair warning: thematic posts on City Hunter to turn my mourning energies to productivity likely to fill the next week or so.